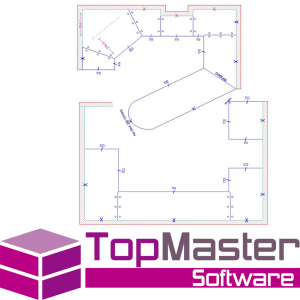 Drag and drop while easily modifying bench top modules parametrically to draw up your plan. Mainly used with the CabMaster product, easily change the connection of your bench top and send out the files for machining alongside your cabinets. The ability to add, remove and change the materials of the bench tops as well as pricing and reports, even when used as a standalone product. Check your job in elevated and 3D views before pressing one button to export your files out for machining.